Oof, I've been going the wrong way to Callander every time I've been, haven't I? Looks a bit wiggly from space. 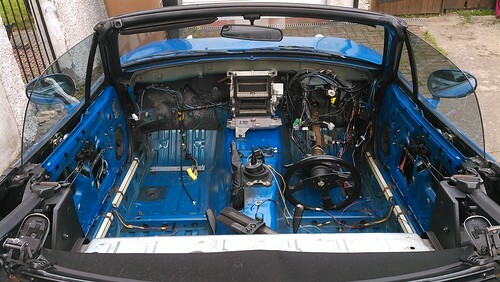 Hopefully I can get the gearbox buttoned up tomorrow and I might be able to go and see it looking autumnal. 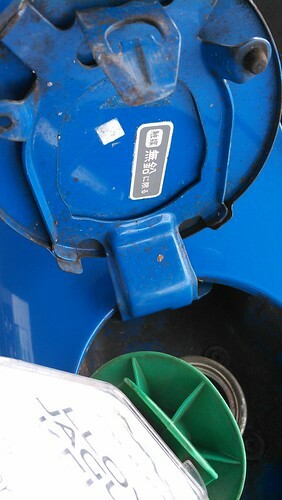 90(?) 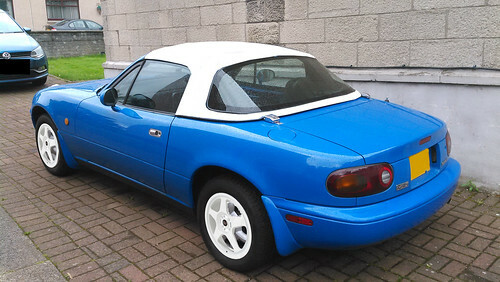 mariner blue eunos 1.6, td04, rust. 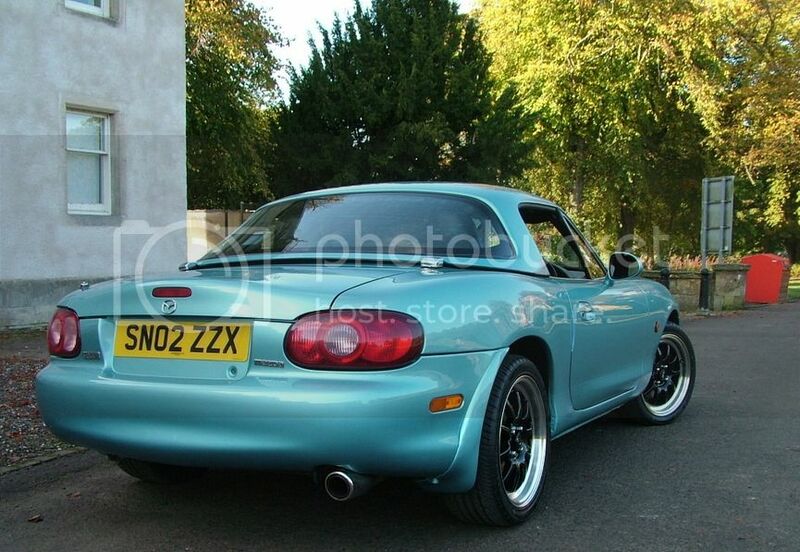 Got any pics of your mx5 yet? Would love to see it! 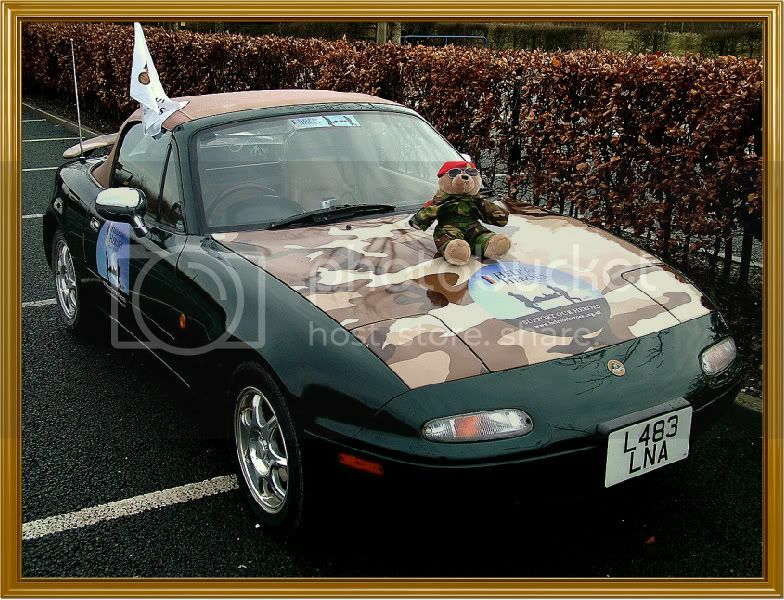 chillax wrote: Got any pics of your mx5 yet? Would love to see it! The first squee pic I took of it when I picked it up. The one when it was finally running after getting a turbo. Spelunking for holes and leaks and errant wiring. The last one I took before it wound up on ramps with not enough oil in its oily bits. What power figures is she putting out with the turbo? 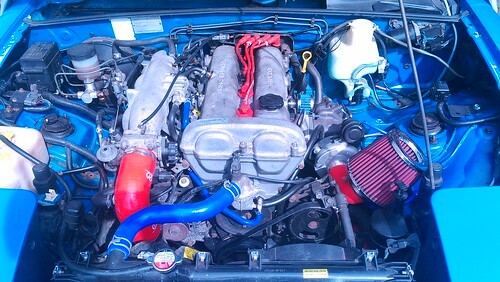 Engine bay looks sweet btw! It's still unmapped. That'll get done over winter so hopefully I'll get a dyno graph then. No clue what the timing is doing, or what manner of fueling snafus are in it. It's on an ME221 base map so it just runs and drives. The boost solenoid isn't in the feedback circuit yet, so I'm on wastegate pressure which wiggles my gauge to 0.8-0.9 whatevers it measures. I potatoshopped it to ponder doing this to it, so I'm right with you on white wheels. I'm not sure the white roof is growing on me, but trying to colour match it to the car is a bit unlikely and black doesn't seem right. It's currently the darker blue. See! The white wheels would look awesome! I like the white roof too, nice combo that and the mariner blue seems to carry it off really well. White wheels seem to be my trademark, think it stems back to the 80's when my wheels of choice were always white 8 spoke Weller wheels! OldSpice wrote: Just as well you made it across before we start charging entrance fees at The Hard Border! Dave, we could have some fun with this man. Kicking off with the Duke's Pass just to warm him up a wee bit. ...then the old Military Rd. I always thought Caitlin was a girl's name! I did not really consider it Bob. My wife taught a male Caitlin years back. I remember him well for all the wrong reasons. Took her 6 months to get him expelled! With a name like mine...it goes both ways as well! Last edited by OldSpice on Fri Nov 16, 2018 10:25 am, edited 1 time in total. caitlin wrote: Oof, I've been going the wrong way to Callander every time I've been, haven't I? Looks a bit wiggly from space. It's a handy wee bit of multiple scenic twisties over about 12 or 14 miles..... or something. I've never noted the length, but it huge fun and popular. Either 20 minutes or 30 minutes depending on how much you bury the loud pedal into the Wilton. Pheasants,lycra-bummed cyclists and the inevitable Zafira doing 28.5 mph can be issues. Nice coffee places in Aberfoyle at the end of it and lovely scenery...if it's not misty & p*ss*ing. At Kilmahog before you turn off from Callendar it's traditional to say Hello to Hamish...the biggest Highland coo I've seen. As for the Old Military Road...have a Google. Excellent 5 territory. TBH,as with Wales, Yorkshire and the Lakes, you now have the best top-down driving roads in the UK pretty much on your doorstep. Hope you discover them over the years in your own time. Anyway, if you see this around town that's us/me. Had it 12 years. Not going anywhere either. Next year, I'll have this refurbed and back on the road. Had it 12 years as well and wore it smooth. Commonly known as Lance Corporal Bruce with 2 Scots. Apparently. Sounds like a great weekend road trip for a day out! I'll be up for it when the better weather returns, hopefully Mindy will have her new suspension by then. Going to try and get the white alloys fitted this weekend, will post a pic when done! As for your suspension...fair one. I'm looking forward to my new bum so to speak. OldSpice wrote: You behave laddie! New bum will make all the difference! Well, I got the rest of the oil in and the gear change is indeed improved, but I am never doing that every again without a 4 post lift and a decent pump. The problem with getting a lift, like I did in 2013, is all these punters turn up and demand bacon rolls with the excuse it's a Tech Day. drumtochty wrote: The problem with getting a lift, like I did in 2013, is all these punters turn up and demand bacon rolls with the excuse it's a Tech Day. Including consultation & technical advice fees. Do not have the time to charge them, too busy getting cars on the ramp and keeping everything organised. drumtochty wrote: Do not have the time to charge them, too busy getting cars on the ramp and keeping everything organised. The obvious mistake is in telling anyone you've got it. My other half flat out will not let me build a double garage even though there's LOADS of garden. Who needs a view out of the kitchen window anyway? Wow! Impressive garage Eddie, so envious! I've got a double garage, but it doesn't have the height for a ramp unfortunately Something I would have loved. Caitlin, get your Mrs told!! If you have the space, a garage is a must. Even better if you have room for a double one. I honestly couldn't live without it now, so good to be able to have somewhere I can work on the car come rain (snow) or shine. Just wish I'd opted for a higher roof! Oh, and a single large door instead of two individual ones. Hey ho, you live and learn! Might actually contact the company who built mine, see if there might be an option of a higher roof. Or could just head up to Eddies place! lol Road trip! It changes from a garage that does not need a building warrant into something that needs an engineers certificate and also their senior engineers sign off and the guys who design and check it must be fully certificated to do the calcs say 2 years after their civil engineering or structurak engineering degree. The issue is that such guys do not want to look a a small job such as a garage as there is only say £1k in that work where they can charge say £30 K for factory building that is say 10 times the hours but 3 times the real rate of pay. 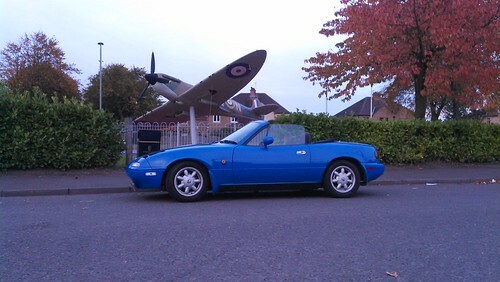 It is a nice thing to have to sort your car as a good number of local MX5 club members will advise but economically you have to be off your head to spend that money with no expectation of any financial return.